For the last few days I have been working on my first large printable pack. Red Riding Hood theme. So far it is over 50 pages and I am still going LOL. It will be available in the usual black and white, and also in color! I can’t wait to finish it and share, this one is exciting!!!! No links to follow on this one, just a sneak peek! A JUMBO-SIZED (5×7) deck of cards. I print on cardstock with no back. To create an Uno-like deck print one page each of 3, 4, 30 & 31. Print two copies of pages 5-28 and four copies of page 29. 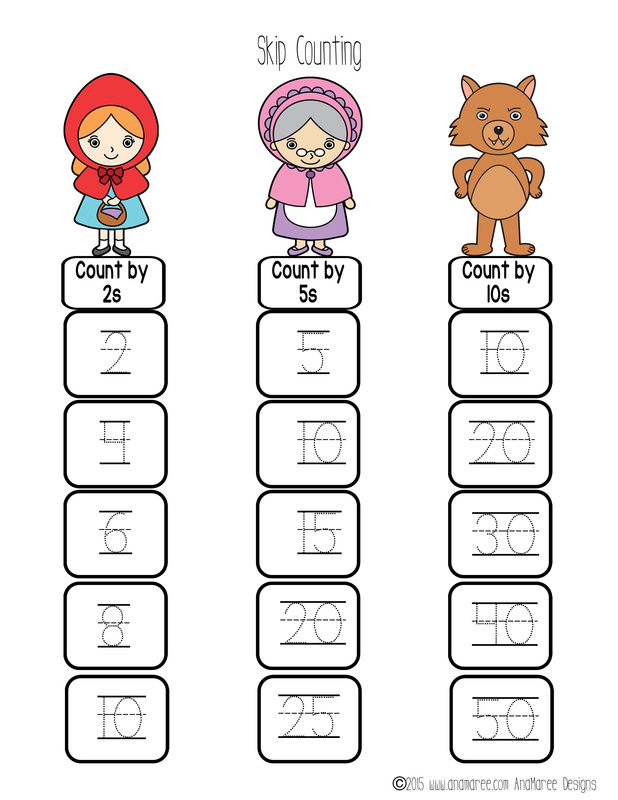 Print extra blanks and write in your own rules and/or math facts to add to customize your game. CRAZY 8: for younger kids let them match number and color only by removing special cards, add in wild cards for some extra fun. GO FISH: Can play by number only or number and color depending on age of child. MATH WAR or PLACE VALUE WAR: Use numbered cards only, divide deck evenly. Decide if you want to play by ones, tens or hundreds. Each player flips their cards, highest number wins that hand and player with the most cards at the end of the game wins. ONES: each player flips one card over at a time. TENS: flip two cards over and lay them down left to right (2 and 1 would be 21). 100s: Flip three cards over and lay them down left to right . MATCH 10: Remove all special cards and 10s. Lay out cards in a 5×4 grid. Player flips over two cards. If they add up to 10 they keep them and replace the 2 spots with cards from the top of the deck of leftover cards. If they do not make 10 they flip them back over and let the next person take their turn. Thanks, and please leave feedback on my page.